Every Christmas my mom sends gifts to our relatives in Germany. 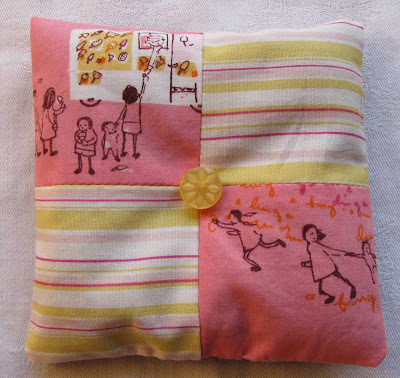 We try to find local items from Seattle, at least the U.S. My mom asked me to make a sachet similar to one I gave her years ago. 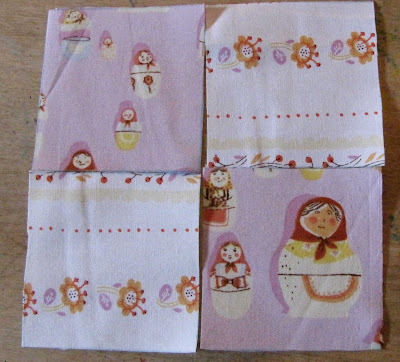 I was thrilled with the idea as I have lots of scraps to use. I'm really happy with the way they turned out. 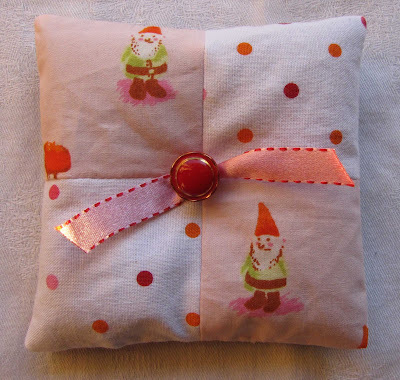 The gnome and ice cream truck fabric are Munki (so cute!) 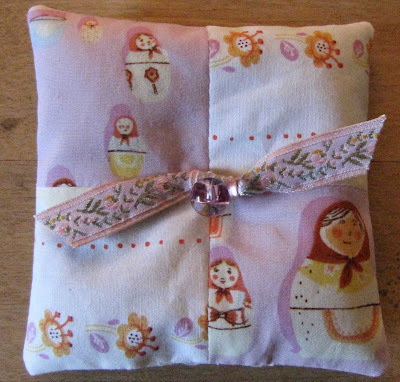 The Matryoshka doll fabric is from Heather Ross. 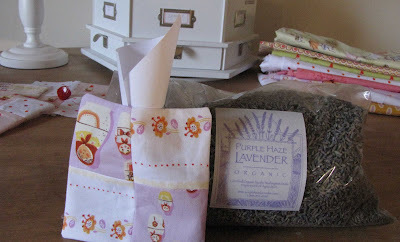 The lavender I use to fill them came from Purple Haze Lavender in Sequim, WA. It is heavenly. 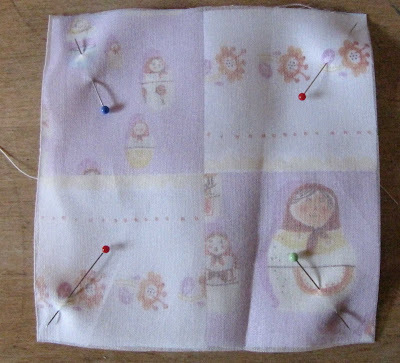 6) Lavender florets to fill sachet. I got mine here. Cut 4 - 2 1/2" squares of fabric. I used two of each print. Arrange the squares as you like. 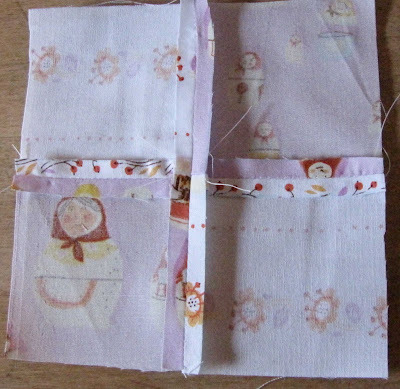 Stitch the two left and then two right squares together with a 1/4" seam. Stitch the center seam using a 1/4" s.a.
Flip the front over to the Right Side. 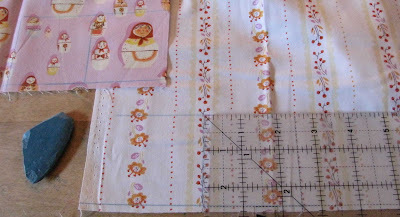 Cut a piece of organza to fit the square and pin each corner. 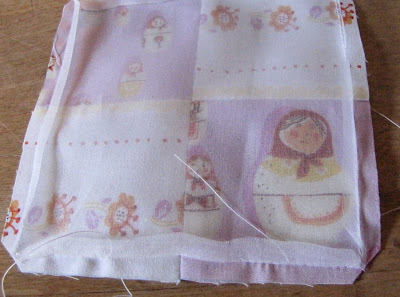 Stitch around the perimeter using a 1/4"
seam allowance. Leave an opening approximately 1" centered at the bottom. Clip the corners and press the s.a. open. Make a funnel out of paper and fill your sachet. 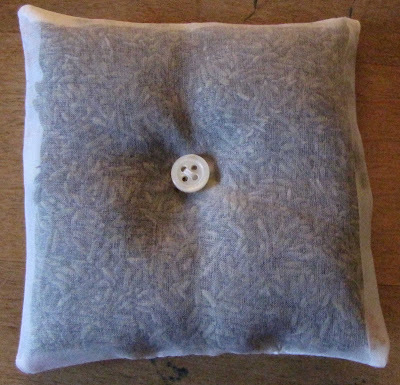 I ordered 1/2 pound organic lavender which is enough to make many, many sachets!! Slip stitch the bottom opening and add a button and optional ribbon to front. Don't forget the stay bttn on the back! Hello, I recently found your blog and loving it! 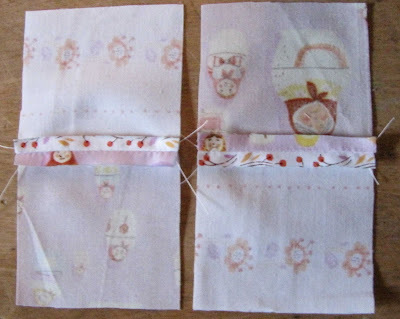 Thank you so much for the tutorial - your sachets are so lovely! Toile and a finished project!